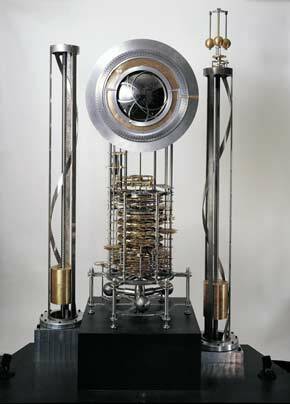 For the next twelve months, the first prototype of the Clock of the Long Now will be on display at the Deutsches Museum in Munich, Germany. It forms part of their Welcome to the Anthropocene exhibit – an interactive and multidisciplinary museum experience meant to prompt reflection and discussion about the notion of a ‘human era’. This is the first time the Prototype has left London’s Science Museum since it was installed there, and the first time the prototype is on display in continental Europe. To learn more, you can explore the exhibit’s English-language catalog, German-language website, or take a virtual tour. Originally scheduled to run until January, the exhibit has already been extended to September 02016, and can be visited any time during museum opening hours, daily from 9 AM and 5 PM local time.